So, Turning point has been a really great game in the sense that there has been many different ways to play the game. It does have it’s flaws (caps are under powered), but I love all of the different ways to play the game. However, not all games are this way. Most of the recent games have had huge design convergence by worlds. This is a place to post your favorite unique and original designs from games where it was hard to be unique. 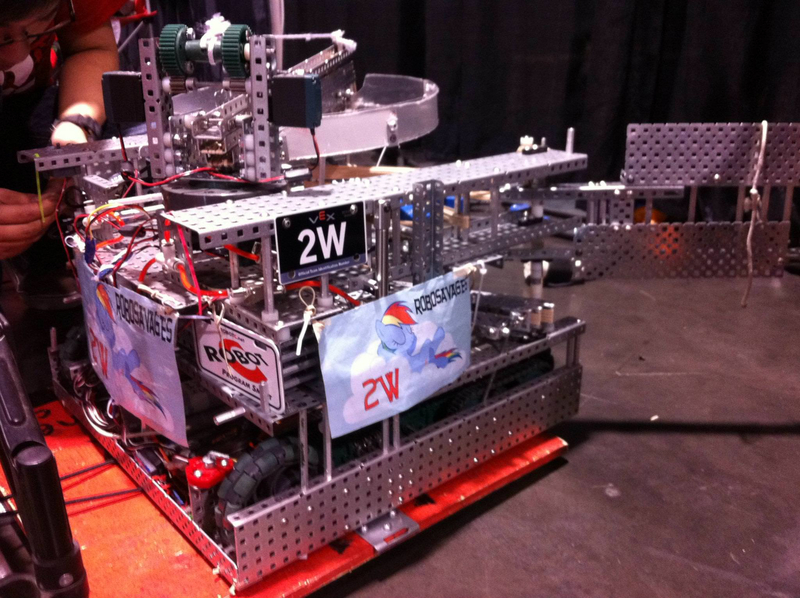 While there were several wallbots throughout the Gateway season, they were not widely used, and still 2W was a truly unique robot. From what I remember it weighed ~60 pounds, and just a reminder Gateway had a 10 motor limit. 185A was a devastating bot in starstruck and was definitely different. You store up a massive amount of stars and cubes then dump them over all at once. It was pretty awesome. I never saw it in person, I watched it over live stream, but it was still insane to watch. I was there and watched it during the round robin, it was actually amazing. Especially seeing the team getting DQ’d for trying to stop its utter destruction. It’s my most vivid memory of Worlds and I still talk about it with teammates to try to brainstorm a design that memorable. There was one robot in starstruck that had its teammate load it and then launches all the game pieces over to the other side at the end of the match. Wish I could find it. I’d argue that this was more amazing than 185, but they are both still awe-inspiring. It’s a great video about the robot’s features. I liked the mechanical construction because it has few components and a high efficiency in the challenge. If you have pictures and technical information of this Robot I would like to draw it if possible! Greetings and good luck in the next competitions! The 62A robot was indeed op. yeah that’s usually the one you think of when it comes to large intakes. The only thing it is missing is the metric ton of polycarb for extra storage. Look closely at their intake. The sideways belts are really cool. I have not seen 1069d before, wow. Yeah, it’s pretty unique. I honestly have no idea how they got that gyro stabilization working with the vex gyro. Impressive stuff.